Probably my first and last healthy breakfast of the year. I love adding fruit to my granola in the mornings. Just adds extra flavour without having tons of sugar or artificial sweetners. I usually have a plain granola, add linseed and chia seed then whatever fruit is in the garden! Blueberries are my favourite, followed by bananas, raspberries and strawberries. Berry overload! 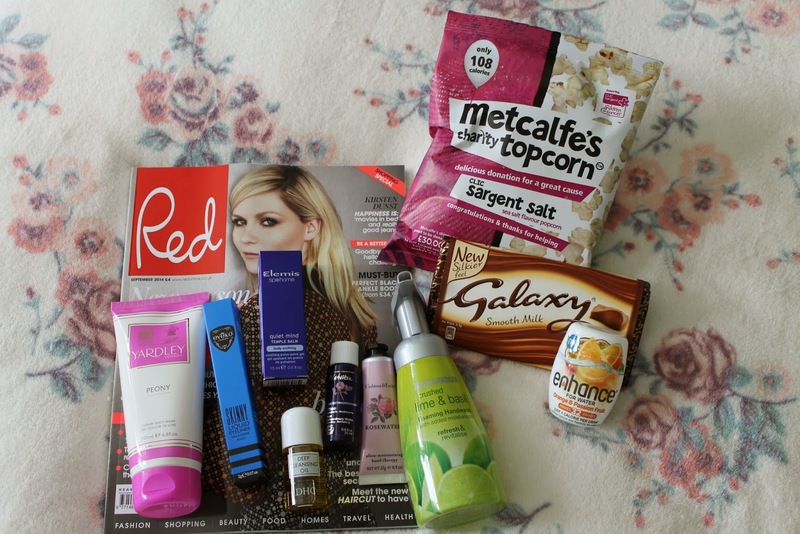 I posted about July's Love Me Beauty Box a few days ago and am still loving all the products! The eyeshadow is crazy pigmented, so go easy on that one and I've been using the mascara to no end. It gives you the perfect fluttery eyelashes, without looking too scary or clumpy, and doesn't drop after a few hours. New holygrail?! I did do a cheeky stop-off at the Tottenham Court Primark, because it's literally five minutes away from my office and it would be rude not to! I'm still not 100% on these slip-ons. They look cool and are so comfortable, but they're a bit 'out there' from my usual conservative shoes. What do you guys think? Yay or nay? What's been your highlight this week?